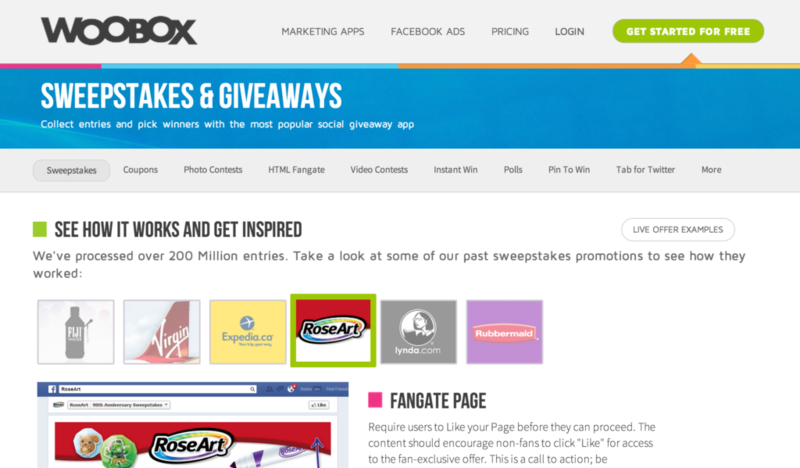 Facebook Contest & Promotions Apps – Which One is the Best? A couple of months ago, I ran a Facebook contest for a client of ours called FanDistro. In 7 days, we had driven 618 competition entries, and just over 500 people who entered the competition shared it with their friends (thanks to a sharing incentive we added). All in all, we collected 618 email addresses of artists who might use their service, as well as driving about ~75 extra signups that month. The total cost? $37. When setup correctly, Facebook contests are one of the fastest and most cost effective ways I’ve come across to grow your email list and Facebook engagement. In this post, I’ll explain some pointers on how to get a good social contest setup, but let’s start off by looking at which Facebook contest app to use. Out of a pool of maybe 50+ different social contest app services, there are five that I’d recommend considering; Heyo (my favourite), Shortstack, AgoraPulse, Wishpond, and WooBox. I’ll explain the pro’s and con’s of each in more detail below. I’d heard good things about Heyo from a friend who uses them quite extensively to run group deals from his company’s Facebook page. 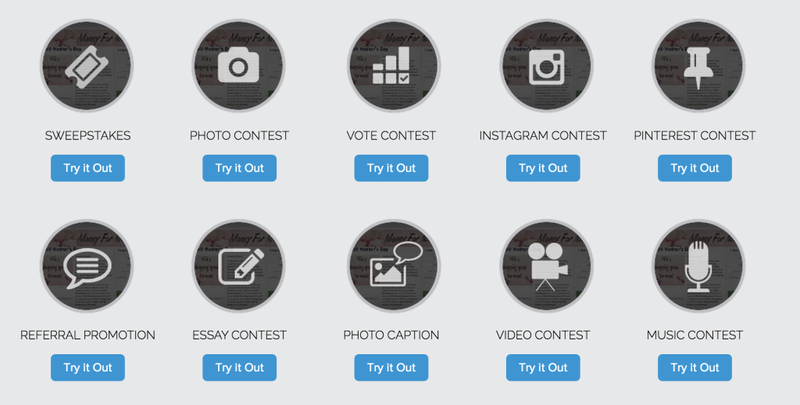 Heyo excels as a social contest platform for a few reasons. Firstly, their contests look beautiful. Using flat design techniques, their contests are some of the best looking that I’ve seen. 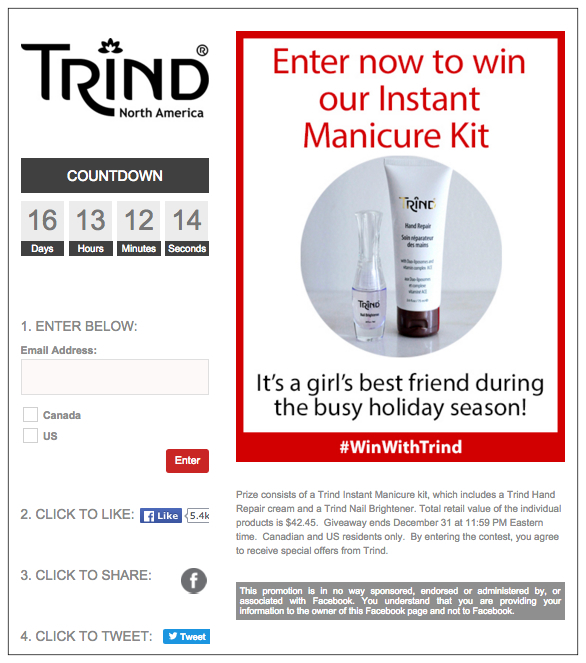 For example, this contest by cosmetics company “Trind” highlights the the clean and professional design offered by Heyo. According to the Heyo Blog, this campaign by Trind received over 2,800 impressions and collected 930 new email leads at a 33% conversion rate. Secondly, their platform is really simple and intuitive to use. The impression I get is that Heyo’s geared towards business owners who don’t want to be swamped with a lot of process, but want to get a contest page set up and published quickly. Whereas other providers will have you filling out pages of forms to set up your contest page, Heyo’s editor is very visual, which also makes the process of creating your campaign more enjoyable. Finally, Heyo also has very simple pricing. They offer a 7-day, full featured free trial (you can keep building contests after 7 days, but you can’t publish). After that it’s just $30/month or $300/year. Their plans don’t have limits on things like Facebook fans or page traffic either, so you won’t have to worry about Heyo raising prices on you as you get more successful. 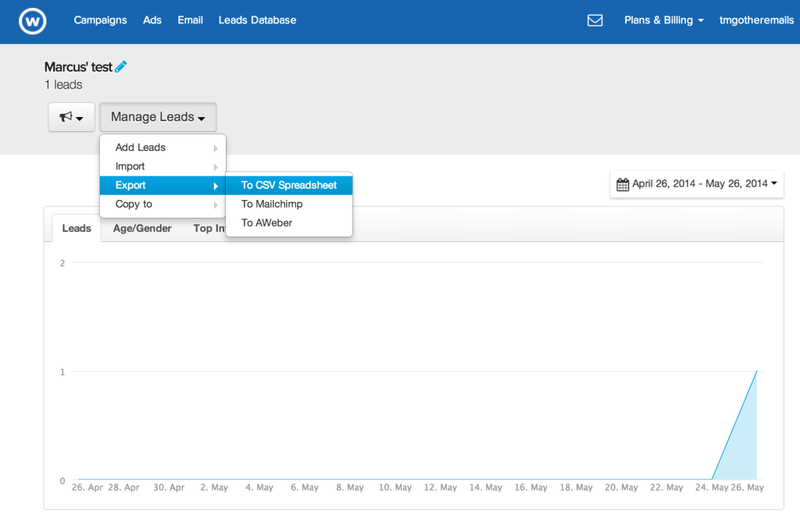 Also, given that Heyo is more focused around building your email list, the magnitude of ROI from this tool is likely to be a fair bit larger (or faster) than some of the other tools. 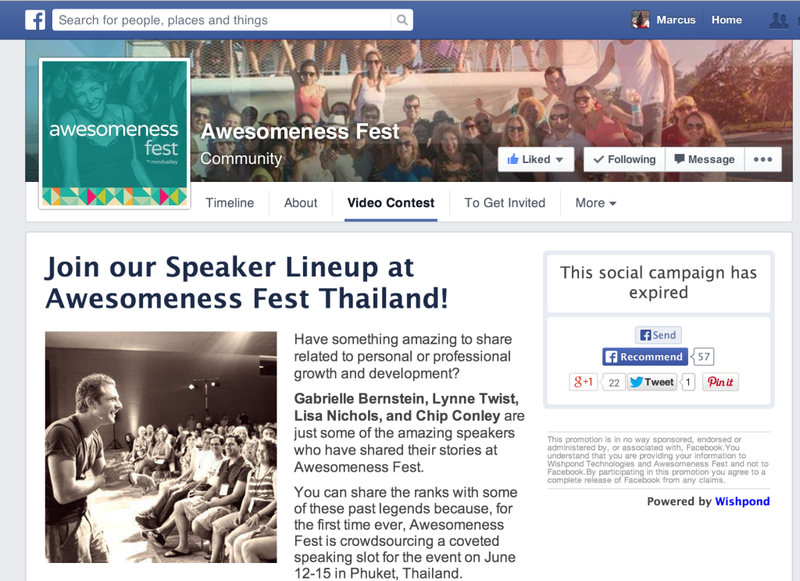 I first discovered Wishpond when I entered a video contest on the AwesomenessFest Facebook Page to speak at their conference. I was impressed by the app’s setup; the contest app asked for everything at the right moment, and made it incredibly easy to capture my data and make me share. Impressed by their campaign’s results and Wishpond’s “keep it simple, stupid” approach, I decided to have a play around with their app. My first impressions were good. Creating a campaign was really easy, and they had a decent (but not overwhelming) selection of different types of contest to choose from. One aspect that I really like is that Wishpond give you a selection of well-designed templates to choose from for your Facebook contest. Previously, when I’ve used other platforms I’ve had to get my designer to whip something up in PhotoShop, so the visual editor made that step redundant. Another pretty unique feature is that you can create Facebook, Google, and retargeting ads from within Wishpond to promote your Facebook contest. 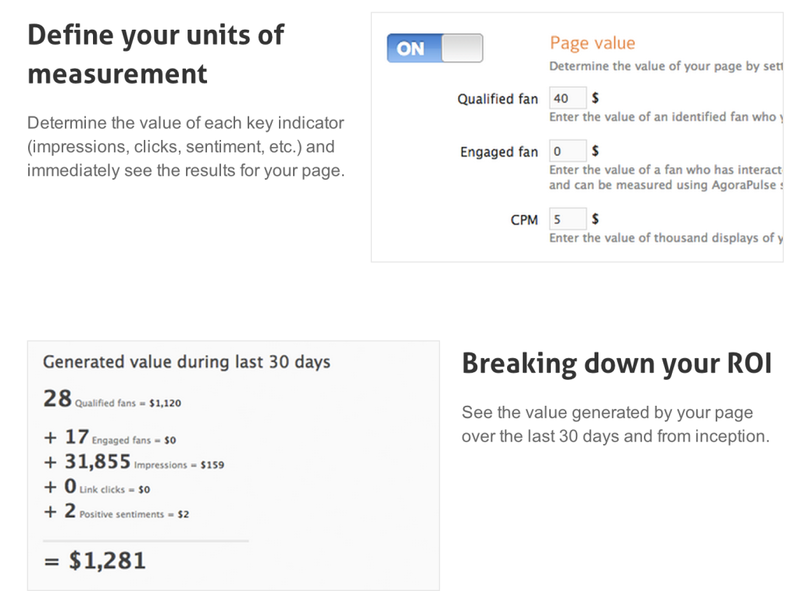 Finally, as my motivation for running a Facebook contest is often lead generation based, I wanted to have a quick look at their reporting and analytics. This is where some of the social contest services I’ve previously used have fallen down, so I had my fingers crossed that Wishpond had this one nailed as well. They had. Their reporting is a beautiful combination of simple yet powerful. I could import and export from Aweber, filter entrants by age, gender, location, and even see the top interests of people who’d entered my contest. Most importantly, I could easily segment and download the email addresses of all those who entered my contest. So how much does it cost to run a Facebook contest with Wishpond? Like most of the services featured here, they offer a 14-day free trial on all of their plans, which start at $19/month. Wishpond’s pricing tiers are featured-based i.e. as you pay more, you unlock premium features, such as the ability to use email automation and white-labelling. While you get all of the important features at whatever price you pay, the thing that stands out for me is that the lead database is only unlocked when you pay for their Pro plan ($44/month). For me, the lead database would be an absolute necessity, so it’s a bit of a shame that I’d have to pay a higher rate just for this feature. That said, at $44/month it’s still an absolute steal when you consider the ROI that a tool like this can have on your mailing list growth and online engagement. After trying all of the services in this post, Wishpond are the one that stands out the most for me. They’re who we now use for virtually all of our client’s social contests. If you want to give Wishpond a try, they offer a 14-day free trial here. 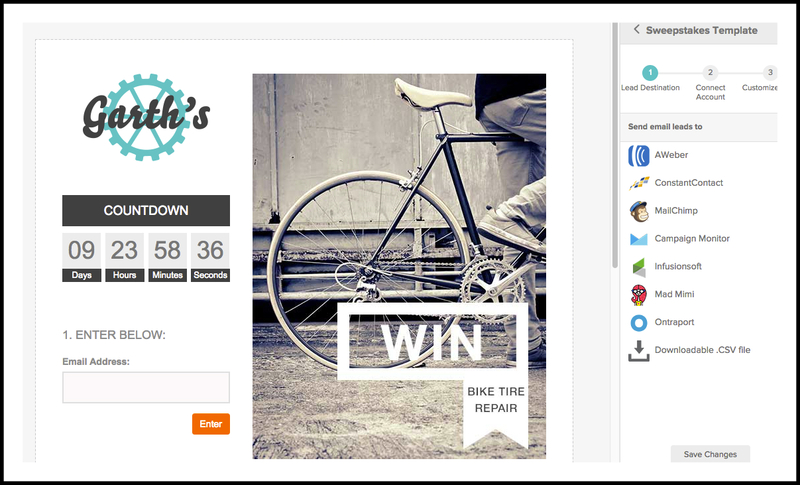 Before I came across Wishpond, ShortStack was my go-to tool for running Facebook contests. 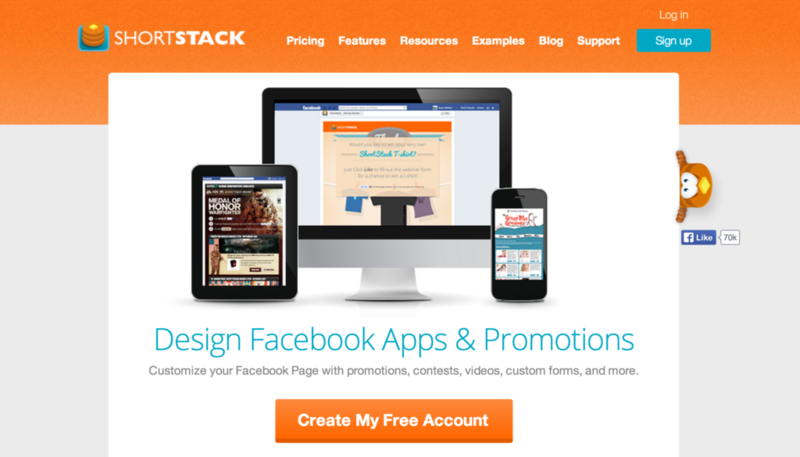 Shortstack is one of the most comprehensive Facebook app creators, with a huge variety of features to choose form. There’s a bit of a learning curve when it comes to creating apps on their platform, but once you’ve got the hang of their interface you have a lot of control over how your contest functions. So let’s start off with creating a contest. Like Wishpond, they do have a selection of templates to use, but unless you want to create something that looks like it was designed in Microsoft Frontpage in 1999, you’ll probably want to design your own. Once you’ve got your designs ready to go, creating and launching your contest app is relatively simple. While they do have a drag and drop visual editor, I find myself ducking into the CSS/Html quite a lot with ShortStack which is a handy feature if you prefer to design with code. So why would you use Shortstack over Wishpond? Well, in general Shortstack have more features. I like Wishpond due to their simplicity, but if you need to run a contest with maximum flexibility, or for whatever reason, you want to promote your contest with QR codes, or run campaigns that show different content to users in different countries, then Shortstack will most likely give you more control over your campaign. 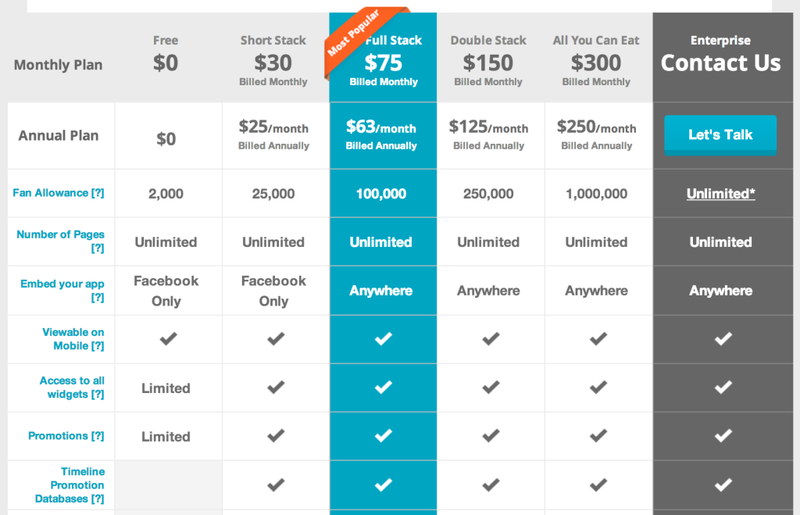 Depending on the size of your Facebook audience, Shortstack may also work out a little bit cheaper for you. Unlike Wishpond, Shortstack’s pricing is based on a (somewhat confusing) combination of features and audience size. For example, if you have 30,000 Facebook fans, you are not eligible for their $30/month package. You’d have to go for their $75/month ‘Full stack’ package. In general, I was happy with Shortstack and they are a very good option for social contests, but their design and processes are just not quite as polished as Wishpond, in my opinion. Admittedly, I had never heard of AgoraPulse until I began researching this post. Most of the spin-offs of services like Wishpond and Shortstack are just copycat platforms aiming to slightly undercut the competition, but not AgoraPulse. While I’d love to hear from some of their users in the comments, the thing that strikes me as unique about AgoraPulse is the depth and intelligence of their reporting system. As an avid Facebook advertiser, I’ve used plenty of Facebook analytics and management tools in the past, but none quite as intuitive and clever as AgoraPulse. Their reporting seems to be focused around answering two of the most important questions that marketers need to ask; what is/isn’t working, and what’s profitable? They have an ROI calculation dashboard, as well as deep insights into identifying the best times to post, the best mediums, and best subjects. 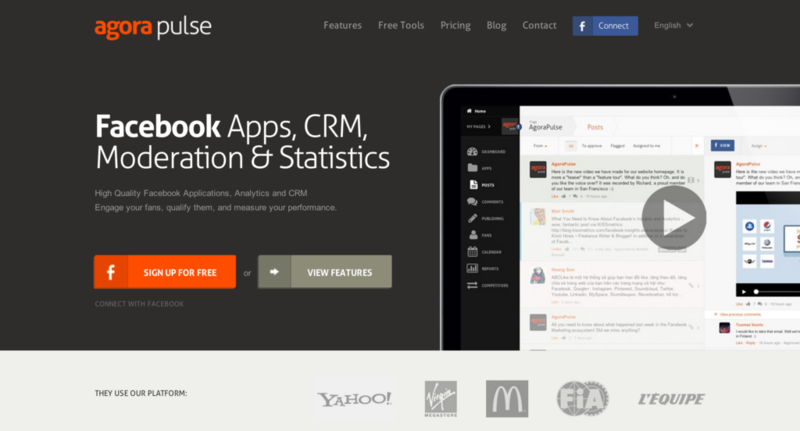 In some ways this is not the most like-for-like comparison, as AgoraPulse is really a lot more than just a social contest app (they’re a full blown Facebook apps, CRM, and analytics suite), but the reporting looked too good not to feature here. While I can’t say I’ve built a live app with them, their contest application builder is nice and intuitive, and has most of the options offered by the services above and below. If you already have a Facebook management and analytics sorted, and are just looking for a solution that does Facebook contests really well, I’d go for Wishpond or Shortstack. However, if you want a central dashboard that brings everything into one place and enables you to setup Facebook contests, then AgoraPulse is worth taking a look at. Pricing wise, AgoraPulse are very competitive. All of their packages are full-featured, and the different tiers are based on how many pages you want to manage / the size of your Facebook audience. Considering you’re getting awesome reporting, moderation, CRM, and applications to run contests, you can’t really argue with $39/month for two pages and up to 50k fans. Finally, we have WooBox. Despite being quite a popular option for running Facebook app contests, I’ve had mixed experiences with their platform. 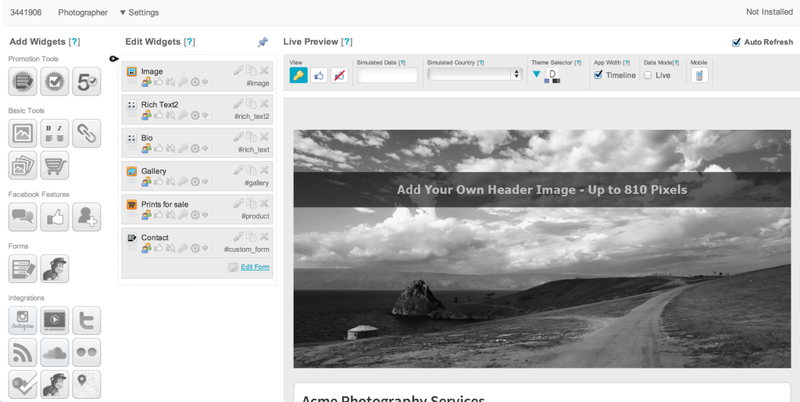 While the front-end (what you see on their website) is very slick, the backend feels half-done. As far as I can see, there’s no way to change the date parameters in the reporting dashboard (making it impossible to see historical data beyond 30 days), entrant data is really limited, and creating an app is not particularly intuitive. In themselves, these are minor issues, but the cumulation of lots of minor issues is what’s deterred me from using them after the trial campaign I ran with them. Of course, my experience is only one – and they couldn’t have reached two million users without doing something right, but the overall impression I get from them is that they’ve become a bit complacent with their position in the market. So why am I including them here? Well, they get a lot of positive reviews and I want to give them the benefit of the doubt in case my experience was a one off. They have a good selection of different promotion types and like Wishpond you can create Facebook ads directly from within your WooBox account. Pricing wise, they have the most complicated system which combines features, number of promotions you can run per month, Facebook audience size, and number of pages. To answer the question posed by this article’s headline, I would say Wishpond are the best service for creating Facebook contest apps. However, it’s clear that we will all have varying requirements and outcomes in mind when it comes to choosing a platform, which is why I think I don’t think there’s such a thing as a complete overall winner. If you’ve used any other services that you highly recommend for running promotions on Facebook, I’d love to hear about your experiences in the comments. Also, if you have any more views on the ones mentioned above I’d be equally interested in hearing about your results, thoughts, and which one you ended up using. Hello! I’m considering Facebook’s app Contests for Pages. Can’t find any reviews about it. Do you have experience with it yet? Thanks!